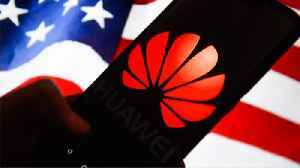 Chinese telecoms equipment company Huawei said on Tuesday it welcomed the European Commission's "objective and proportionate" approach to the security of future 5G networks. Canada announced on Friday that it would launch proceedings to extradite Meng, daughter of Huawei's owner Ren Zhengfei, raising concerns in Beijing, which has been very vocal in protesting her arrest..
OTTAWA (Reuters) - The Canadian government, as expected, said on Friday it would allow an extradition hearing to proceed against Meng Wanzhou, the chief financial officer of Huawei Technologies Co Ltd..
Chinese telecommunications giant Huawei Technologies Co Ltd Chief Financial Officer Meng Wanzhou appeared in a Canadian court on Tuesday for a hearing concerning her bail in a case that has strained..
A top executive from Huawei Technologies Co Ltd [HWT.UL] being held in Canada can make "strong arguments" against extradition to the United States, in part due to President Donald Trump's..
Canada has not asked the United States to abandon its bid to have Huawei executive Meng Wanzhou extradited, Canada's Foreign Minister Chrystia Freeland said on Tuesday in an interview with Bloomberg.. Earlier this month, Canadian authorities arrested Huawei’s CFO Meng Wanzhou when she was switching flights in Vancouver, British Columbia. 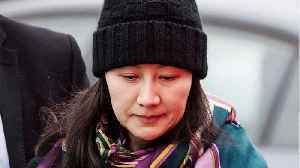 The arrest was made after a request from the United States..
China said on Tuesday that the United States and Canada had abused their extradition agreement in the case of arrested Huawei executive Meng Wanzhou, after Canada's ambassador to the United States said..
Michael Kovrig and Michael Spavor were arrested late last year, amid rising diplomatic tensions between Ottawa and Beijing following the detention of Huawei executive Meng Wanzhou in Vancouver on.. The United States has informed the Canadian government that it plans to proceed with a formal request to extradite Huawei Chief Financial Officer Meng Wanzhou on allegations violation of U.S. sanctions..
China's Foreign Ministry on Tuesday urged Canada to immediately release Huawei executive Meng Wanzhou, saying the case was an abuse of legal procedures. 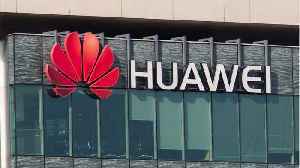 China on Monday defended the reputation of telecom giant Huawei after its executive was arrested in Poland on charges of spying. 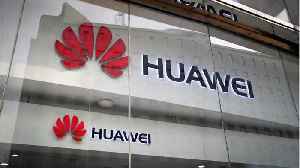 A Huawei executive arrested in Poland on charges of spying for China has been fired by the Chinese tech company. 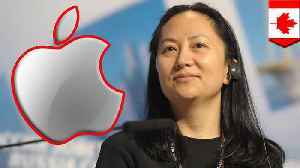 Poland’s counterintelligence service confirmed on Friday that a Chinese citizen..
China's ambassador to Ottawa has accused Canada of "double standards" and disregarding his country's judicial sovereignty, in a diplomatic row sparked by the arrest of Huawei executive Meng Wanzhou at.. The thirteen include former diplomat Michael Kovrig and consultant Michael Spavor, arrested on December 10, for activities said to threaten national security, as well as Sarah McIver, who was..
Chinese firms are encouraging staff to buy Huawei smartphones following Canada’s arrest of a top Huawei executive on a US extradition request, which has triggered an outpouring of nationalist..
China should free two Canadian citizens who were detained this week after authorities in Canada arrested a senior Chinese technology executive on a US extradition warrant, Pompeo said. Huawei executive Meng Wanzhou, released on bail on Tuesday to await a ruling on U.S. extradition at one of her luxury Vancouver homes, may have received welcome ammunition in court from an unlikely..
Canada should distance itself from U.S. "hegemonism" and grant unconditional freedom to Meng Wanzhou, a Chinese executive detained in Vancouver on Washington's request, the state-owned tabloid Global..
A Canadian provincial court on Monday adjourned without deciding the fate of a top executive of Huawei Technologies Co Ltd after she appeared in a Vancouver court in relation to an extradition case..